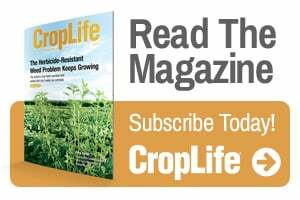 The bickering over the superiority of one source of plant nutrients over another gets tiresome, writes Rob Mikkelsen, Director, North American Program, International Plant Nutrition Institute. There are excellent arguments about why organic nutrient sources make valuable contributions to plant and soil health. However, remember that the inorganic fertilizer industry first developed to satisfy farmer’s irreplaceable need for affordable plant nutrients. Yes, both sources of nutrients play essential roles for food production sustainability. The fundamentals of 4R Nutrient Stewardship remind us to always use the Right Source of nutrient regardless of their origin. Applying 4R principles will always assist in achieving the desired goals of each unique situation. Predicting N release from mineral fertilizers is relatively simple. The N release from organic fertilizers depends on the proportion of rapid and extended-release materials. The environmental conditions and field management practices influence the behavior of all nutrient sources applied. One difference between many organic and inorganic fertilizers is the presence of organic carbon. Addition of organic matter is almost always beneficial for soil health. However, there are at least two ways of adding organic matter to soil: 1) harvest crops from one field, feed them to animals and humans, and then return the manure to another field, or 2) grow plant-based organic matter directly on the field (such as cover crops or by returning crop plant residue). Both approaches are effective in increasing organic carbon inputs to the soil. The decision of using organic or inorganic nutrient sources is often based on the availability of local resources, the economics of hauling and application, and the need to supply balanced crop nutrition.